Incredibly flavorful and tender, it is hard to believe that this baked beef brisket uses only 4 main ingredients. Beef or chicken broth may be substituted for the red wine if preferred. Brisket should always be cut against the grain. Resting time prior to cutting is important to allow re-distribution of the flavorful juices throughout the meat. Make a bed of the sliced sweet onion in the baking pan. Cover onions with the red wine. 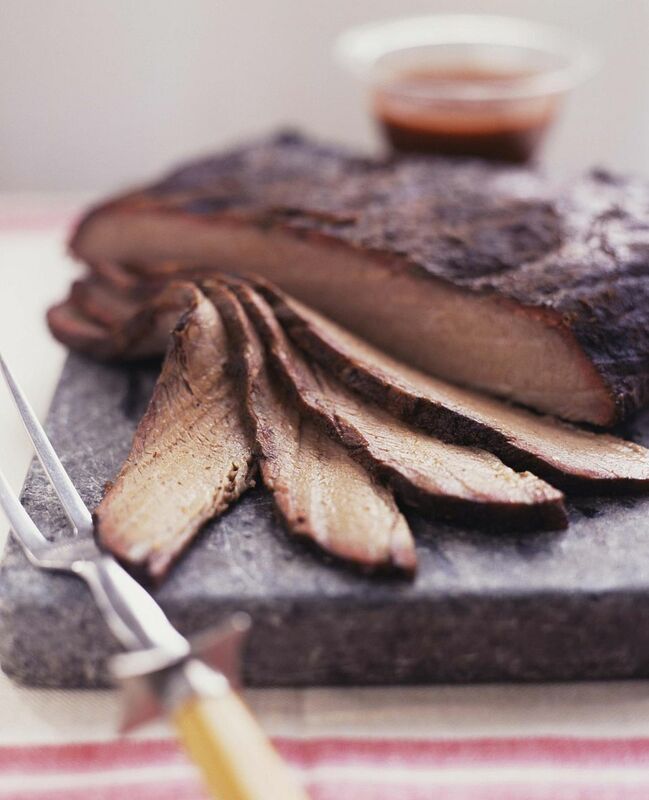 Sprinkle the meaty side of the brisket generously with kosher salt and freshly ground black pepper. Turn over brisket and place on top of the bed of onions, fat side up. Sprinkle the top (fat side) of the brisket evenly with the dry onion soup mix and more freshly ground black pepper. Place in preheated oven, uncovered, baking for 15 minutes. Remove after 15 minutes, cover tightly with foil. Lower heat to 325 F. Return covered pan to the oven and bake an additional 1-1/2 hours. Remove pan from oven and allow to rest, still covered, for 15 minutes. Uncover and let rest an additional 15 minutes before slicing brisket across the grain to serve.